Salamanca, Ayala, Hermosilla, Goya are three streets that run parallel to each other in this lush upscale neighborhood north-east of Madrid city center. Together they house many stores of interest to the Made in Spain-minded shoe and accessories shopper. Fosco, Ayala 13 – a chain of stores that offers original designs of shoes and other fashion accessories, including collaborations with prominent Spanish fashion designers at affordable prices. 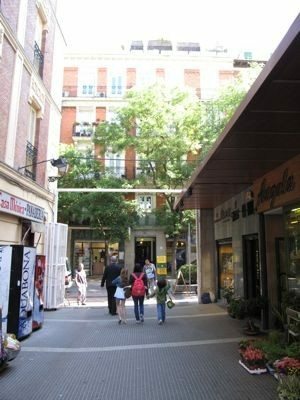 José María Moreno, Ayala 15 – a veteran Madrid shoe store named after its founder. It is currently in the hands of the third generation. 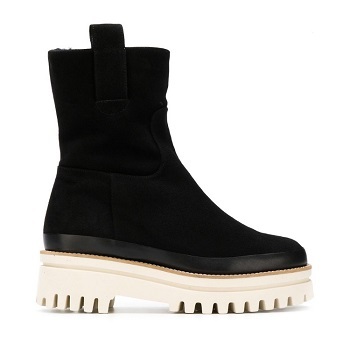 The store specializes in quality fashion footwear, both Made in Spain and international. Manuel Gómez, Ayala 62 – likely the oldest and most respected shoemakers in Madrid. The family firm has recently undergone a make-over, making the whole operation more up-to-date, without losing its good name and the charm of a shoemaker of old. The store still occupies the original location of Manuel Gómez‘s shoe making workshop, founded in 1925. The company has long been patronized by the Who-is-Who of Madrid‘s society and other faithful clientele who value the hand-made quality, the classical designs, and have the traditional Spanish appreciation for good leather work. A “must visit” for anyone who appreciates the art of shoe making. The Gómez family in their store. Malababa, Lagasca 68 (also at Santa Teresa 5 in Chueca). 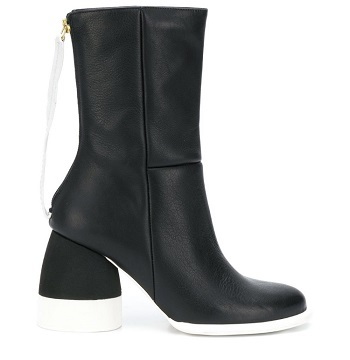 This alternative boutique brand makes women’s shoes and accessories in easy luxury style, an intuitive choice for the well-dressed crowd. I’m a big fan of their ballerinas. Their bags have a unique, laid-back contemporary look with a rustic flair. The designer jewelry line is cheeky and unconventional. All products are proudly sourced and made in Spain. 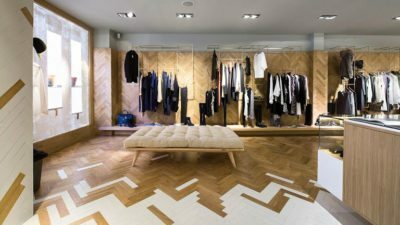 The interior of the store is a pleasing mix of vintage and contemporary minimalist. Malababa store in Salamanca. Image source here. Malababa store interior, Salamanca. Image source here. 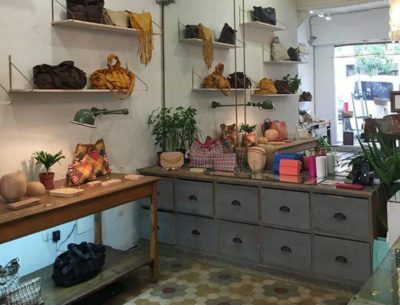 Caramelo, Hermosilla 17 – this fashion house from north-west Spain lives up to its delicious name by presenting collections of clothes, shoes, and accessories in soft Mediterranean tones. The style is simple, fresh, with a touch of dreamy. 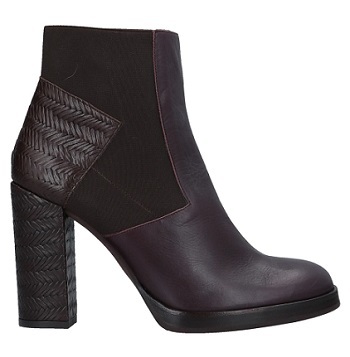 Shoes and accessories are made from fine quality leathers. The company recently transferred production from Asia back to Spain. UPDATE: I recently found out that Caramelo has since closed its doors. What a pity. Acosta, Hermosilla 20 (also Claudio Coello 95) – a manufacturer of luxury leather shoes and accessories. La Firma, Hermosilla 22. 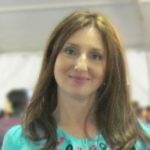 A fashion shoe store that carries a great variety of shoes by a number of high-end brands, including espadrilles by Sarahworld by Sara Navarro and shoes by one of this blog’s regular favorites, Pura López. Mascaró, Hermosilla 22. A family firm from Menorca, which also owns the very successful high-end Pretty Ballerinas brand (makes total sense, as the company started out making ballet slippers). 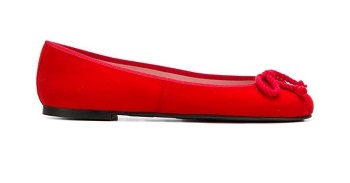 Mascaró, with their signature pink sole, are some of the most beautiful (and wearable) shoes I have ever seen. 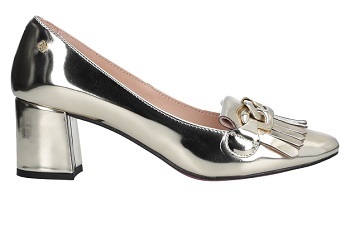 They are adored by shoe lovers both within and outside Spain. Jaime Mascaró, who had directed the company since 1980, passed away late last year. His daughter, Úrsula Mascaró, who has her own glamour shoes line, is continuing in her father’s footsteps as the head of design. 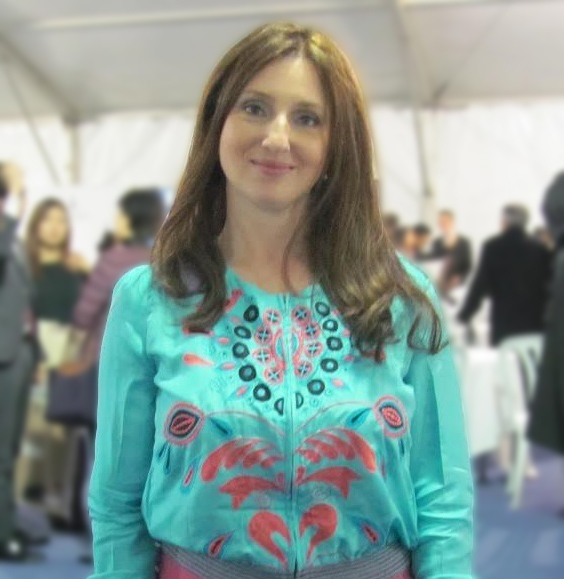 She also frequently collaborates with Spain‘s top fashion designers. All the shoes are manufactured in Ferreries, Menorca. A “must visit”. 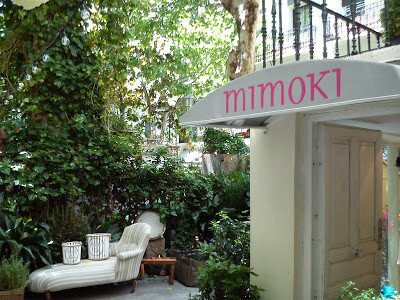 Mimoki, Hermosilla 26 – a fashion accessories boutique, specializing in original head and hair ornaments. 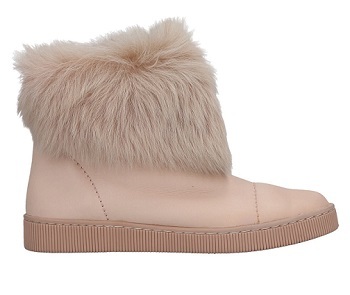 Very popular with fashion bloggers. The Mimoki shop. Photo courtesy El Madrid de Paloma blog. NAC, Hermosilla 34 (also Lagasca 117). A multi-brand fashion boutique. 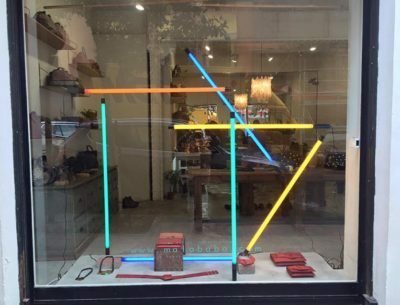 This small family owned chain sells clothing, shoes, and accessories by acclaimed Spanish and international fashion designers. The price point is medium high. 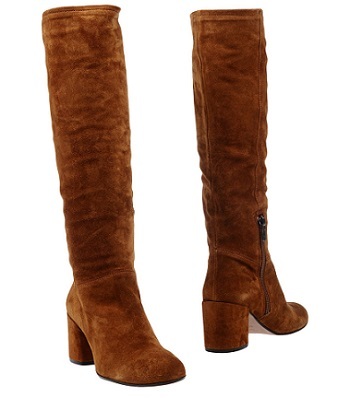 Of the Made in Spain brands that we feature on this blog, NAC carries my long-time crush Castañer and the Andalusia-based Chelsea-style boot re-inventor Neon Boots. NAC also stocks off-the-rack lines by well-known Spanish couture brands like Sita Murt. 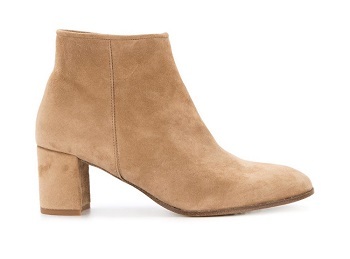 I happen to own a couple of pieces by this brand and I am absolutely smitten with their “natural chic” design style. Another featured Spanish brand is Ángel Schlesser, a luxury fashion clothes and accessories maker based in Madrid. As a result of the careful selection of well-matched brands, NAC is full of beautiful, eye-catching, and unique fashion pieces. NAC fashion boutique, 34 c/Hermosilla, Madrid, Spain. Verde Esmeralda, Hermosilla 36. A Barcelona-based manufacturer of glamour-style luxury shoes and accessories, personalized by request. Cremades – Muestrario de Mallorca, Hermosilla 41. 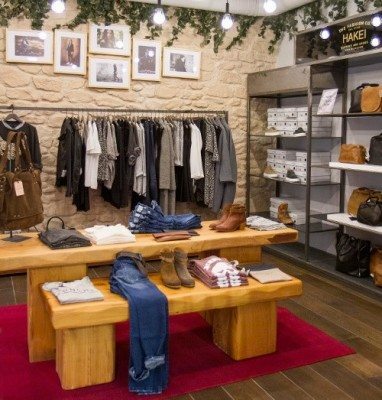 A chain of stores specializing in shoes for men and women made in the Balearic islands of Mallorca and Menorca. The company strives to balance quality and affordability. Lottusse, Goya 6. High-end executive style men and women’s shoes manufactured from exquisite leather in Mallorca. The company has been around for a long time and is well known to luxury retailers around Europe. The Shoes Collection, Goya 38. 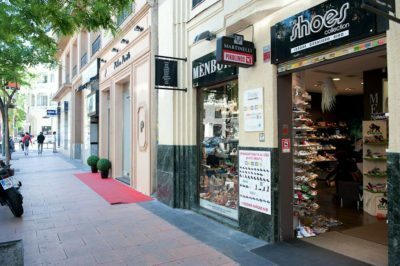 A multi-brand family shoe store carrying a good variety of Made in Spain brands, including Hispanitas, Menbur, JONI, Callaghan, Pedro Miralles, Porronet, Unisa, Victoria, Wonders and others. The festive shoes maker Menbur has its own mini-store within the store. A number of international brands, known for their focus on anatomical correctness and comfort, are also present. The average price point is medium to medium high. The spacious interior of The Shoes Collection store in Madrid‘s Salamanca district. The Shoes Collection store at 38 c/Goya, Salamanca, Madrid. Hakei, Goya 41 (also Ayala 34) – a fashion and accessories chain that caters to sophisticated urban dwellers by carrying a variety of original contemporary chic designs at moderately high prices. Antonio Parriego, Goya 45 (also Nuñez de Balboa 94 and Lagasca 130). 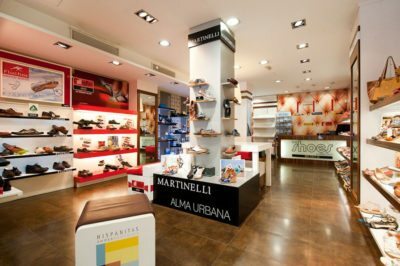 In business for over 50 years, Antonio Parriego is a chain of shoe stores that features a wide array of in-house designs manufactured in Spain. 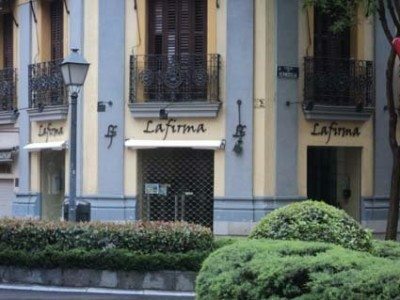 Marypaz, Goya 57 (also Ayala 13, Puerta del Sol 4 and many other locations in the city). A national chain of shoe stores in the low price range. They sell international brands (made in China and elsewhere) and some Made in Spain brands. 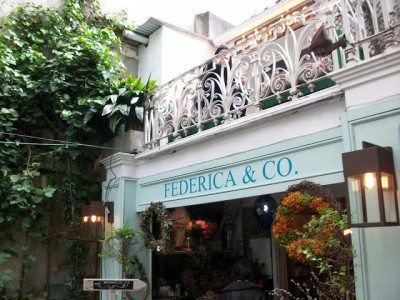 A garden store at 26 Hermosilla street, Salamanca district, Madrid. Photo courtesy of El Madrid de Paloma blog. As you can see, Salamanca, Madrid‘s IT shopping destination, is also great for walking and enjoying the sights. Who ever said that shopping wasn’t a healthy activity? Once again, many thanks to one of my major sources: Madrid‘s very own Spanish shoe blogger Bárbara de Cárdenas of the Los Zapatos de Bárbara blog. In our next Shoe Shopping Itineraries post I will be taking a walk down Madrid‘s “Golden Mile“!